Welcome to this (Android Office Task Management) Project Base App Development Course. In This Android Course Students Will Learn How to complete a Real World Android App Using Firebase Database. Udemy Provide 30 Day Money Back Guarantee . So After enroll This Android course if you don’t like this Course You can Return your money back,No Question Asked. You Will Have A Good Project On your Profile that you can add on your CV When you Will Apply For Your Job. You Will learn how to develop An Office Task Management Android App. Anyone can take This course Who is want to become an Android App Developer. Who is want to improve their Android Development Skills. Who is Want to Develop A Complete Android App. Who is Want to develop a Complete Project and Want to add it on Their Profile. 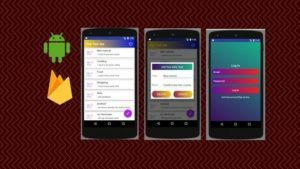 Who is want to Develop A Complete Android App Using Firebase.